Technical innovations in musical instruments and the development of tonal language have been continual subjects for deliberation from the 19th century onwards at the latest. Additional brain power is necessary to conciliate the two elements with the endless possibilities of electronic sound. In the end, the two factions cannot resolve on a conclusive opinion and the question remains as to whether art always results from skill. Evángelos Odysséas Papathanassíou, or Vangelis for short, always worked with the newest synthesizer equipment and pushed his cascades of sound to the very edge, right up to the point of electronic overkill. 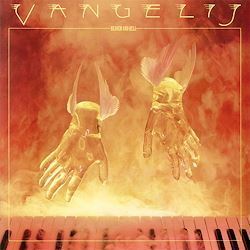 In contrast to many other electronics experimentalists of his time, Vangelis likes to »create important melodies and to develop them further, without going under in the technical equipment« (Stereo Review). Distant human voices, siren-like lost calls lead into oriental dance. A song – far removed from its era – somewhere between Gregorian music and antiphony – a will-o‘-the-wisp, shimmering sound. Polyphonic playing on the Bösendorfer reminds one that every form of musical expression from over the sands of time is welcome. Each listener must discover for himself what sounds heavenly or hellish. But let it be said: musically speaking, the one cannot be imagined without the other. This Speakers Corner LP was remastered using pure analogue components only, from the master tapes through to the cutting head.